Many people think the benefits of having a home cleaning service are limited to simply enjoying the clean house and returning home to a job well done. But a clean home is also good for your health—an important consideration that we shouldn’t take for granted. dirt and dust mites from the hard to reach spots your casual cleaning might miss. Your family should ideally be out of the home during the cleaning process. Any small amount of leftover allergens will settle before you return, making allergy attacks less likely. We tend to clean only when we see dirt, but frequent, professional house cleaning service addresses the dirt we can’t see. Fabric furniture, rugs and bedding collect dead skin cells and bacteria that are smaller than what we can see. So even if our home looks clean, there are actually unhealthy microscopic organisms lurking. Frequent vacuuming and washing keeps our surroundings sanitary and fresh. Dirty bathrooms are a breeding ground for bacteria, mold and infection-causing viruses. These close quarters and moist, humid environments are like petri dishes in your home. 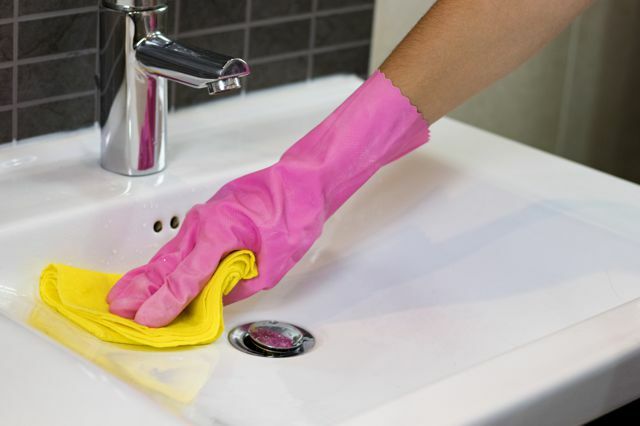 Deep-cleaned bathrooms are less likely to house e-coli and other substances that could be potentially dangerous for your family. Finally, taking the burden of cleaning off your shoulders reduces stress. Imagine if the hours you are currently using for cleaning were used for something pleasurable instead! Allowing a house cleaning service to handle this important task frees you and your family for more enjoyable activities, reducing stress. A healthy home equals a heathy family!